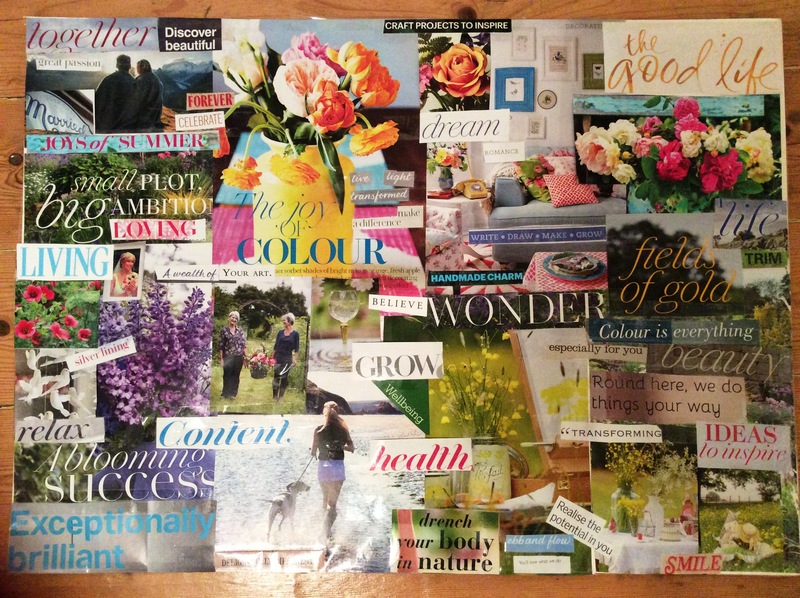 Have you ever done a mood board? I like to do one at the beginning of each year and was introduced to them by Jo Le-Rose, author of ‘Discover your Full Potential’ some time ago. I did it a little differently this year however. Having been given a couple of magazines by my soon-to-be-mother-in-law, I allowed the photos to come to me, ie I cut out those I felt drawn to. This included not only pictures, but words that I felt attracted to and inspired to be. 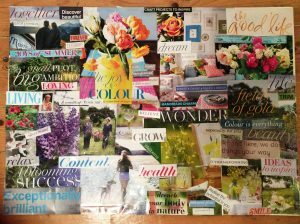 Once all cut out, I loosely put them into areas of life such as relationships, friendship, career, health and wealth and allowed them to show me the way. It was almost like giving myself a reading. The aim is to allow this to inspire me in every moment.